Home Why Did These THAs Fail? Why Did These THAs Fail? What lessons can be learned from total hip arthroplasty (THA) cases that seemed fine at the time of surgery but ultimately failed due to patient or surgical factors? 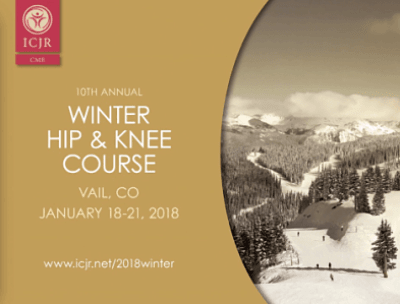 That’s the question faculty answered during a session on failed THA at ICJR’s Winter Hip & Knee Course. Bryan D. Springer, MD, from OrthoCarolina in Charlotte, North Carolina, moderated the case-based panel discussion, which highlighted 5 failed THAs. Faculty presented their cases, solicited feedback from the panel members, and then revealed how the cases resolved. These cases show that even the most experienced orthopaedic surgeons have patients whose hip replacements fail, and they fail for a variety of reasons. Click the image above to watch the presentation and find out how the panel members would manage these patients and how the cases were eventually resolved. Previous articleWhy Did These TKAs Fail? Next articleIs There a Preferred Graft Type for Young Female Athletes Undergoing ACL Reconstruction?